It was an exciting and major event when our family selected a Christmas tree when I was child. 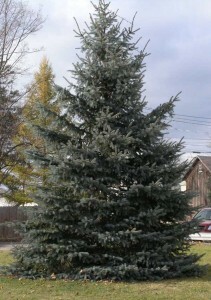 We had a favorite seller we visited each year and searched a large selection of pre-cut trees. It had to be the right height, breadth, fullness, and not too large a trunk base so it would fit in our tree stand. Our family event allowed everyone to have a say in the choice. My mother wanted to make sure it was not too full so the ornaments would have room to hang. Dad didn’t want it so broad that it crowded us out of the room. I wanted lots of room underneath for gifts. My wife recently asked if we fought over the final selection. I do not recall unpleasant conversation. We negotiated and found one accepted by all. After I grew and started a family with Karen at Ody Brook, we began a different tradition. We planted several Scotch Pine trees in an open sunny area to care and nurse with good husbandry. It was about 7 years before any were ready for harvest. During the intervening years, we bought trees from a neighborhood tree seller. While the trees were growing, the tree cluster served as part of a nature niche for itself and other creatures. Mice and rabbit tracks showed evidence the trees provided shelter. Feeding damaged by sawflies killed some branches and created gaps among the branches suitable for larger ornaments. Sawflies are not flies but as adults look fly-like. They are actually in the Hymenoptera Wasp Order instead of the Diptera Fly Order. As a larva, they resemble Lepidoptera Order butterfly and moth caterpillars. The adult lays eggs in mass so when hatched, they feed and devour all the needles on a branch. Rather than use pesticides to prevent damage, I picked the larvae off the tree by hand before significant damage occurred and placed them on a large ant hill as a free lunch for ants. That growing season work became my youngest daughter’s when she was about 5 years old. During the years when the girls and trees were growing and cultivated, the girls learned good natural resource stewardship. Most of Ody Brook Nature Sanctuary remains wild for native plants and animals but portions serve personal use. Wild species besides rabbits, mice, and sawflies made use of the growing trees. Chipping Sparrows, American Robins, and Northern Cardinals chose to construct hidden nests among the thick branches. Deciduous tree embryonic leaves do not expand from buds by the time birds weave spring rearing chambers for young. For 7 to 10 years the trees are important for wildlife shelter and food. To insure we have a sustainable harvest, it was required we plant two seedlings annually so we could harvest one each Thanksgiving weekend. If all survived, we could harvest two for different locations in the house or give one away. The fresh cut tree would be decorated and last indoors to the new year. The tree still offers years of service after the holiday season. We place it near a bird feeder to provide winter cover and protection for birds. I do not know if birds appreciate our efforts but they use the tree for the remainder of winter. When springs arrives, we cut the limbs from the tree and place them on one of the brush piles as a slowly decaying roof that helps stop rain infiltration. Rabbits use the ground level maze among brush pile logs and birds use upper openings. The Christmas tree trunk is cut to sections and used for family backyard campfires where some-mores are made. Each annual tree ritual serves wildlife for about 20 years and provides us pleasure with family bonding. It helped our girls learn about sustainable harvest. In my opinion, Scotch pines become unsightly when allowed to become large. They are a non-native species that competes with native trees. The large Scotch Pine stands are relatively sterile habitat when compared with native tree stands. I recommend harvesting them while they are still small trees. Enjoy nature related holiday traditions. 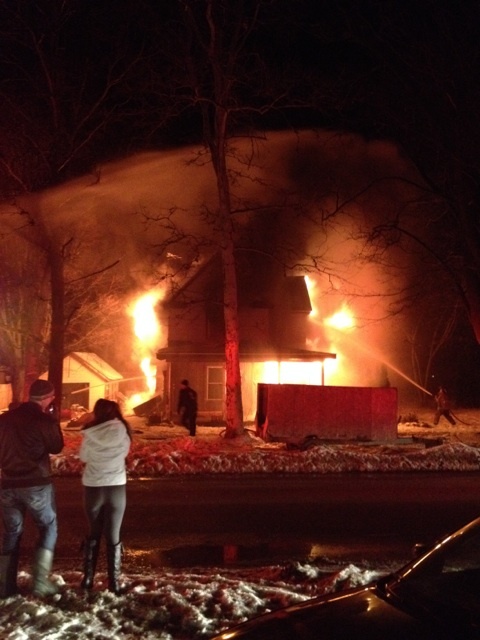 This fire in Sand Lake Saturday left a family of six homeless. Courtesy photo. A Sand Lake family is homeless and has lost everything after a fire consumed their home last weekend. According to Sand Lake Fire Chief Ed Holtzlander, the fire began around 7 p.m. Saturday evening, December 28, at 125 W. Oak Street in Sand Lake. Six people lived in the home. Holtzlander said that the homeowner, Kimberly Sanborn, told him that her boyfriend, Dean MCollum and friends were in the basement when the smoke alarms upstairs went off. They went back upstairs to find both the couch and Christmas tree on fire. Sand Lake Fire had someone on the scene within 2 minutes, and a fire engine within five minutes. But flames were already shooting out of the roof. 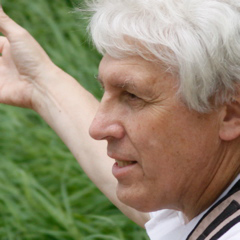 “We didn’t have a chance,” said Holtzlander. He noted that it was an older home without firestops. He said they got the fire knocked down within about 45 minutes, but then had to delay going into the structure for about two hours to finish putting it out because they had to wait for DTE Energy to arrive on the scene to turn off the gas. The gas line below the meter had burned off, and they had to go into defensive mode while they waited. “It wasn’t safe to go in,” he explained. Sand Lake, Cedar Springs, Solon and Howard City Fire Departments all assisted at the scene, but Solon and Howard City were sent home because of the delay. According to neighbor Dawn West, the family lost everything in the fire, including the family dog. 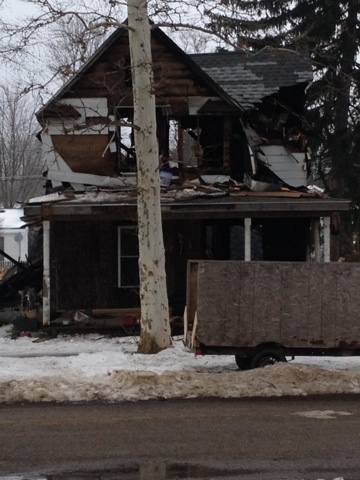 Dawn is collecting clothing and household donations for the family at her home at 126 W. Oak Street, Sand Lake. Clothing is needed for three boys ages 4, 6 and 9, in sizes 4, 6, and 8-10. Clothing is also need for a 17-year-old male in size 30/32 pants and men’s medium in shirts. Financial donations are being taken at Independent Bank in Sand Lake. Cash or checks can be deposited in account number 74981309. Checks should be made out to Dawn West. Please call Dawn with questions at (616) 821-8548. 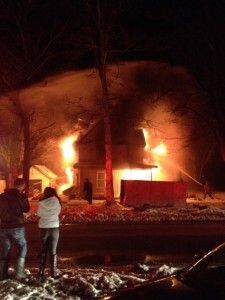 This home at 125 W. Oak Street in Sand Lake was a complete loss. Courtesy photo. There’s a nip in the air, the Christmas decorations line Main Street, and a beautiful Christmas tree sits on the vacant lot at Main and Ash Streets. It can mean only one thing—the annual Christmas tree lighting in Cedar Springs is not far away! The Grindles kindly donated this year’s tree in memory of Gerald James Grindle (Curly), who lived from 1962 to March 2011. We hope they get enjoyment from the faces of all the residents, old and young, who attend the annual Christmas tree lighting on December 2! The event is led this year by Cedar Springs Area Parks and Rec Director Amanda Gerhardt, Pastor Craig Owens, pastor at Calvary Assembly of God. There will be a living nativity beginning at 5 p.m. with actors and animals. They will be joined by actors from the upcoming play “A Christmas Carol,” who will sing Christmas carols. The tree lighting will be at 6 p.m. when Santa arrives. The details are still coming in, so watch next week’s Post for details on what else might be happening that evening!